It’s a few weeks into spring already, but it’s never too late to pick up some new cocktail guides! The following books arrived at the GSN headquarters since the beginning of the year. The Dead Rabbit Mixed Drinks List (2nd Edition) If you think it’s crazy to buy a cocktail menu that doesn’t contain any actual recipes, you’d be dead wrong. 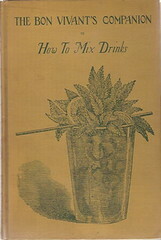 This completely new volume indeed highlights many of the featured cocktails you can order at NYC’s triple Spirited Award winning bar. But, it’s oh so much more than that. You get a short graphic novel about the life of John Morrissey, the original leader of Ireland’s Dead Rabbit gang, and an alcoholic history lesson. Entirely two-thirds of the book is devoted to the amazing success story of Irish Whiskey written by award-winning spirits author, Dave Broom. Lastly, and the icing on the cake as it were, is an essay by Barry Crockett, master distiller of Midleton Distillery where many of the fine whiskies are made today. GSN Rating: A- Buy a copy here. gaz regan’s Annual Manual for Bartenders 2013 by Gary Regan (Mixellany) The third in an ongoing series of books dedicated to helping the working bartender. 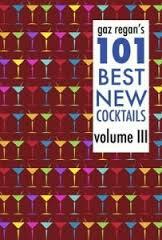 Again, with this volume there are not a lot of cocktail recipes (see below for gaz’s other annual series 101 Best New Cocktails for those). 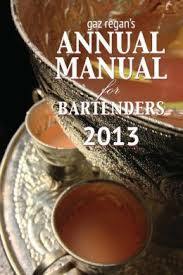 The 2013 manual does not disappoint, and in my opinion is the best of the bunch as gaz has collected dozens of down-to-earth and thought-provoking interviews from both bartenders and bar backs from around the globe. gaz of course, has his say as well in his choice of editorial direction. This year he focuses on Mindful Bartending (a favorite of his), women in the industry and detailed studies of some often overlooked ingredients in cocktails. This book makes for easy and breezy reading, but is filled with invaluable tricks of the trade. GSN Rating: A- Purchase here. 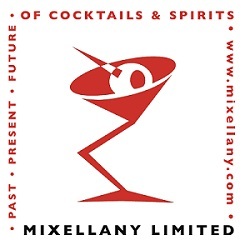 gaz regan’s 101 Best New Cocktails Volume III by Gary Regan (Mixellany) The third in an ongoing series devoted to cutting edge cocktails from around the globe. gaz has a tough job. Every bartender with a dream of stardom sending him their best recipes hoping that he will choose theirs for inclusion. I asked him once how he manages to taste them all. He told me that he doesn’t. First he reads the recipes and sees if they sound interesting. He then tries the ones that tickle his fancy. 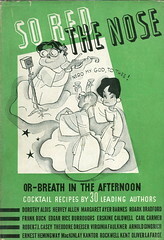 This latest volume includes full color photographs of each drink, along with the recipe and notes by both the creators and gaz himself. If you want to check the pulse of what’s happening in the cocktail world, look no further than this concise and approachable volume. GSN Rating: A Buy a copy here. 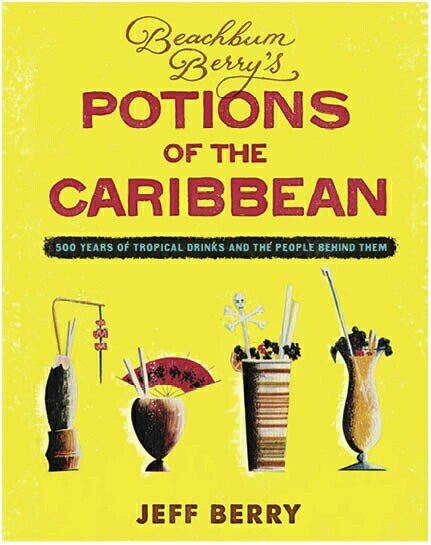 Beachbum Berry’s Potions of the Caribbean by Jeff Berry (Cocktail Kingdom) Jeff Berry has a talent for giving his readers history lessons that are both educational and entertaining. With his latest 300+ page volume, he has totally outdone everything he’s ever done before. 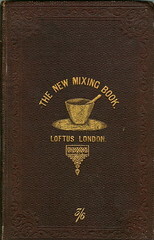 Literally every page is dripping with amazing discoveries, photographs and recipes that you will find it hard to put down. It’s almost as if you are watching the history of what are collectively known as “tiki drinks” unfold in a “Mad Men” type way. 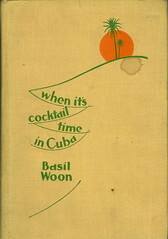 If you have any interest in either rum, punch, tropical libations or even just the history of alcoholic commerce, you need this book. Oh, and there are 35 previously unpublished recipes in here for those of you (like myself) who need to try everything. GSN Rating: A++ Pick up a copy here. 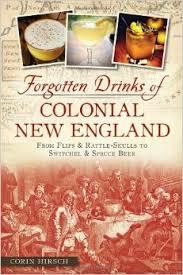 Forgotten Drinks of Colonial New England by Corin Hirsch (American Palate) This fascinating book is almost a prelude to David Wondrich’s “Imbibe!”, filling the reader in on the drinking customs and recipes of early Americans. The fact that no one has written a book like this before is of note. Perhaps it has to do with both the American Revolution and the desire to lose the traditions of England, along with the sense of American ingenuity in creating new things to drink. 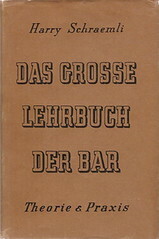 That being said, any bartender worth his salt would do well to read this book in order to understand the flavor profiles of what were in a real sense proto-cocktails. The names of these drinks themselves are a mouthful: Calibogus, Ebulum, Syllabub, and my personal favorite, Whistle-Belly Vengeance. Granted, some of these recipes don’t sound that great, but luckily for us, many of them have been modernized so they are palatable. A healthy dose of historical data is also of benefit for those of us who desire to know the evolution of our country’s libations. GSN Rating: A- Purloin your own tome here. 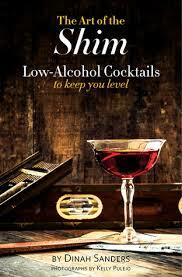 The Art of the Shim: Low-Alcohol Cocktails to Keep You Level by Dinah Sanders (Sanders & Gratz) Where has this book been all my life? For those of us who love to sample as many cocktails as we can when visiting a new bar, unfortunately there comes a point where the alcohol wins. 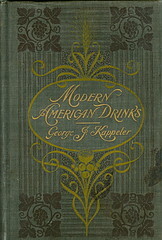 With this well researched and beautifully produced hardcover, not only do you get an array of fantastic recipes from 21st century world-class bartenders, but a salient selection of recipes from the annals of cocktailian history. 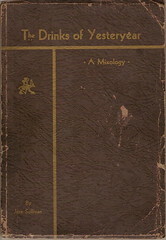 Each page portrays the drink in an artfully shot photograph along with where the recipe hails from and notes on suggested brands of ingredients. A particularly helpful inclusion are sections on cocktails defined by mood, kind, era, and ingredients. If nothing else, this book will help save your liver. GSN Rating: A+ Get a copy here. This entry was posted in Bar Tools and tagged 101 best new cocktails, Annual Manual for Bartenders, cocktail kingdom, corin hirsch, dave broom, dinah sanders, forgotten drinks of colonial new england, gaz Regan, Jeff Berry, Mixed Drinks List, Mixellany, Potions of the Caribbean, the art of the shim, The Dead Rabbit. Bookmark the permalink.